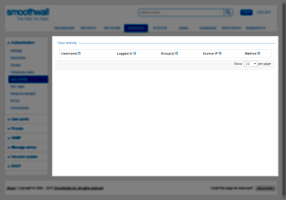 The Smoothwall enables you to see who is logged in and who has recently logged out. You can also log users out or ban them. Go to the Services > Authentication > User activity page. The Smoothwall displays who is logged in, who recently logged out, the group(s) the user belongs to their source IP and the method of user authentication. 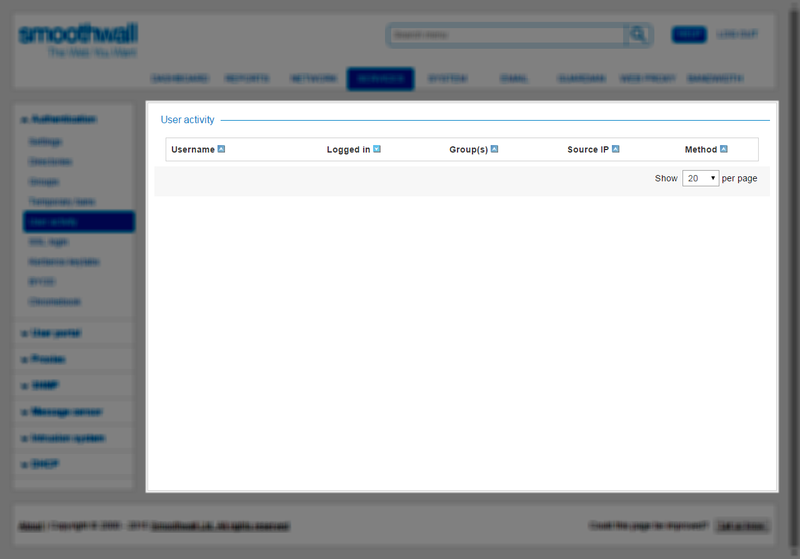 On the Services > Authentication > User activity page, point to the user you want to log out and click Log user out. The Smoothwall logs the user out immediately and lists them as logged out. On the Services > Authentication > User activity page, point to the user you want to ban and click Ban user. The Smoothwall copies the user’s information and displays it on the Services > Authentication > Temporary bans page where you can configure the ban. For more information, see Managing Temporarily Banned Users .